Mia Rose, is a young girl who lives in the beautiful city of Phoenix, Arizona. She loves life and all it has to offer. 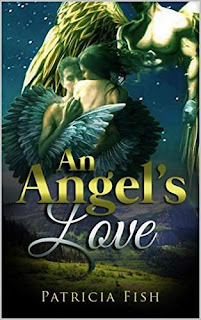 She's always read about angels in book, and loved the stories, but never in her life did she believe she would actually meet a real angel in person until one night on South Mountain Peak. She met an angel who looked like a normal human being and became intrigued. The angel liked what he saw too. He told her his name was Gabriel and that he was asked by his father to watch over and protect the city of Phoenix. When Gabriel told her he was an angel, she thought she was hearing things, because she knew that angels didn't really exist, or she so she thought. Gabriel has a brother named Lucifer, and Lucifer is very envious of of Gabriel, and wants everything he has. He notices Gabriel talking to a beautiful young girl, and decides that he must have her for his own and tries to take her to the underworld to be with him. Can Gabriel protect her from Lucifer or will there be a fight among brothers. And how will her life change, when she has no idea that these two angels are fighting over her? What will happen to her if Lucifer gets her to the underworld? Will he have his way with her or will he respect her? What will her future be like when these two angels come into her life?